AirTrunk, a colocation data center operator based in Singapore, announced AUD $850 million (US$621 million) in new financing for a major expansion of its Australian data centers in Sydney and Melbourne, and across key Asia-Pacific markets. AirTrunk said it is seeing strong customer demand for its hyperscale data center solutions. The funding was led by Deutsche Bank, with investments from AirTrunk founder and CEO, Robin Khuda, as well as Goldman Sachs and TSSP. Khuda commented, “We saw a substantial amount of global interest in AirTrunk throughout the process, and are delighted to complete this financing arrangement with Deutsche Bank. 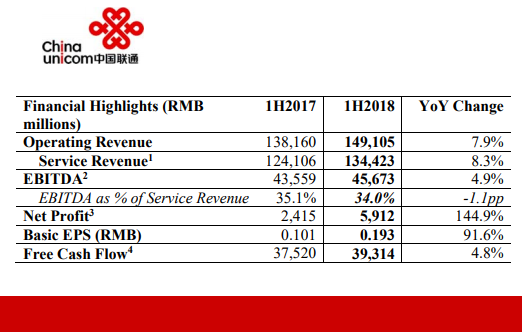 Together with the new capital recently contributed by our shareholders, the new funds put us in a strong position to meet the growing demand from large cloud, content and enterprise customers in the Asia-Pacific region. AirTrunk Melbourne, which opened in November 2017, is designed for large cloud, content and enterprise customers. When fully completed, the data center will have a total capacity in excess of 50 megawatts of IT load across 20 data halls, making it the largest carrier neutral data center in Victoria. AirTrunk Sydney, which opened in September 2017, promises a total capacity in excess of 80 megawatts of IT load when fully completed, covering 64,000 square metres of floor space. For the second year in a row, BT will host a start-up competition at the TIP Ecosystem Acceleration Centre (TEAC) at the BT Innovation Labs in Martlesham, Suffolk and in London’s Tech City. 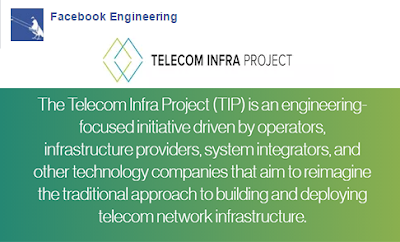 The competition seeks start-ups in the Intent-Based Networking and Mobile fields. Entries will be judged by a panel of senior network and technology leaders from BT, Facebook, and TIP.Shortlisted companies will be invited to a final pitch event at BT Tower on Friday 12th October, where the winners will be chosen. Last year's winners included Unmanned Life, Zeetta Networks and KETS Quantum Security. 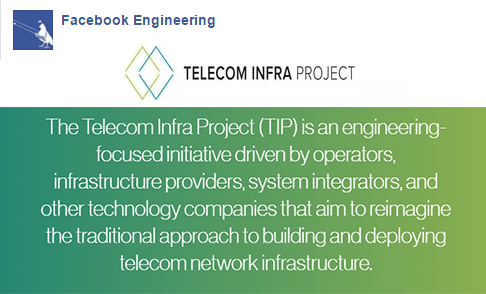 The Telecom Infra Project is a global community that includes more than 500 member companies, including operators, infrastructure providers, system integrators, and other technology companies working together to transform the traditional approach to building and deploying telecom network infrastructure. Verizon and Nokia announced a5G milestone: the first successful transmission of a 3GPP New Radio (NR) 5G signal to a receiver situated in a moving vehicle, seamlessly handing off the signal from one radio sector to another. Hi3G, which operates under the "3" brand in Denmark, has selected Ericsson to modernize its transport network with 5G-ready routers over the next three years. Deployment begins this autumn. The new IP Mobile Backhaul transformation project will use Ericsson's Router 6000 platform. Hi3G is already using Ericsson’s MINI-LINK product portfolio, which shares a common management system with Router 6000 series. Ericsson introduced its Router 6000 platform at Mobile World Congress 2015, but has rarely mentioned it in press briefing since that time. Ericsson introduced its next generation Radio System modular architecture, aiming to provide greater flexibility in how mobile networks are built and operated. Ericsson Radio System features multi-standard, multi-band and multi-layer technology. It delivers three times the capacity density with 50 percent improvement in energy efficiency compared to current systems. Ericsson also took the wraps off its new Router 6000 series advanced radio integrated transport for high-performance backhaul with precise synchronization required LTE Advanced, 5G and M2M. The new Router 6000 series is a key element in Ericsson's next-generation portfolio, a comprehensive suite of platforms running one network operating system (IPOS), spanning from cell-site routers to edge, mobile core and data centers. The architecture will integrate SDN capabilities and, when matched with the new Ericsson Virtual Router, will enable distributed cloud applications. New Ericsson Network Manager capabilities will bring application aware traffic engineering with plug-and-play installation. "The Ericsson Router 6000 series is a game changer since it responds directly to operators' challenges of dramatic increase in the number of connected devices, and the video explosion driving the demand for traffic scale and higher quality of experience," said Anders Lindblad, Senior Vice President, Head of Business Unit Cloud and IP at Ericsson. Series consists of the Router 6672 for access, the Router 6675 for pre-aggregation and the Router 6274 for metro aggregation. First access router with 100GE interfaces in a single Rack Unit (RU) -- more capacity and higher density of 10GE/100GE interfaces in a compact form factor. Support for Segment Routing provides an evolutionary migration from IP/MPLS to SDN, offering user-defined policy routing, faster roll out of revenue generating services and optimal usage of network resources. Researchers at Lincoln Laboratory are investigating laser technology for underwater communications. The work builds on the Lunar Laser Communication Demonstration (LLCD) project conducted with NASA, which successfully transmitted data from a satellite orbiting the moon to Earth at 622 Mbps. Researchers are using narrow-beam optics to help overcome the significant absorption and scattering effects of water. Ericsson and Saudi telecom operator Mobily and Ericsson are showcasing 5G at the Mall of Arabia in Jeddah, Saudi Arabia. The demo features a standalone end-to-end 5G system, including a prototype 3.5GHz radio, baseband, and prototype UE device for the 5G demo, which showcased 5G throughput, targeting speeds of up to 1Gbps.